Augusta’s Starbucks plant will undergo a $120 million expansion that will nearly double the five-year-old facility’s footprint and create at least 100 new jobs, the Seattle-based coffee giant announced Thursday. The company will break ground on a 140,000-square-foot addition later this month that is expected to add six new roasting machines to supply whole bean and ground coffee products to Starbucks outlets and other retailers throughout the East Coast. Starbucks opened its 180,000-square-foot facility in the Augusta Corporate Park off Georgia Highway 56 in 2012 solely to produce soluble coffee for its VIA Ready Brew line of instant products. Augusta Economic Development Authority Chairman Henry Ingram said Thursday the announcement caps a month of unprecedented growth in Augsuta. “The last 30 days — with ADP’s expansion, with the cyber training center groundbreaking and with this new news of a $120 million expansion with Starbucks — is the greatest 30 days in our history, when you take into account the residuals that will emanate from all this economic impact,” Ingram said. Starbucks plant manager Tim Filipowski said the expansion aligns with Starbucks global growth plan and is a testament to the quality of the company’s 180 local employees. Augusta EDA Executive Dirctor Walter Sprouse said Thursday the expansion was not a complete surprise since Starbucks arrived in Augusta in 2012. One of the last arrangements in the deal, finalized last week, was completing arrangements with the state of Georgia to implement its Quick Start program. Quick Start provides resources to technical colleges to help manufacturers train employees. Augusta Technical College will help train the new Starbucks workers. “It shows we have a skilled workforce here in Augusta for Starbucks to commit on such a level,” said Augusta District 7 Commissioner Sean Frantom. The Augusta plant is one of nine Starbucks-owned manufacturing and distribution facilities. The world’s largest coffee retailer plans to create more than 68,000 jobs in the U.S. – 240,000 globally – by the 2021 fiscal year. Starbucks announced a similar expansion at its Carson Valley, Nev., plant in June. Filipowski said the additional production line will bring total employment at the facility to nearly 300 when the project is complete in Fall 2019. Arabica coffee beans are shipped to the facility through the port in Charleston, S.C. The plant roasts the beans and turns them into a powder for the VIA Ready Brew product. The new roasters will package whole or ground beans in bulk containers for use in Starbucks stores as well as 16-ounce and 20-ounce packages for retail. 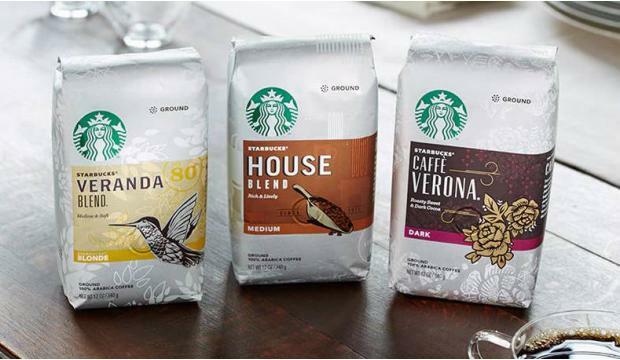 In addition to its namesake brand and its VIA Ready Brew product, Starbucks’ portfolio also includes the Tazo Tea and Seattle’s Best Coffee brands. The expansion will be on the north side of the facility.